Grocery Stores | Dessert Darling ! Love this Acai Mango sorbet! I’m not normally a sorbet girl. I find it a bit shocking with with it’s icy cold temps and disproportionate ratio of high sugar to low fat. I need some cream and substance in there to balance it out. The other night I had the greatest catch-up with my dear, dear friend Laura. We chatted for four hours straight about everything under the sun from Sheryl Sandberg’s book Lean In to how amazing these Trader Joe’s Chocolate Sunflower Seeds are. First of all, count on Laura to have the best of the best in her pantry. The Green & Black’s Mint Dark Chocolate was exquisite. Rarely do a I find a store bought bar of dark chocolate to be that delightful. That said, it had some serious competition. 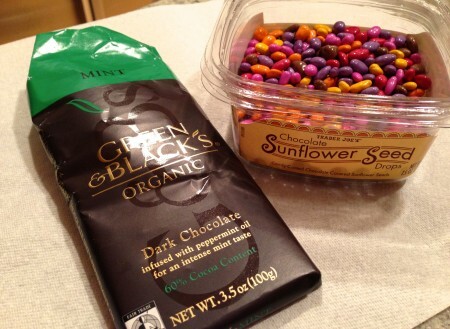 The Chocolate Sunflower Seeds were the most addictive and delicious little morsels of joy. 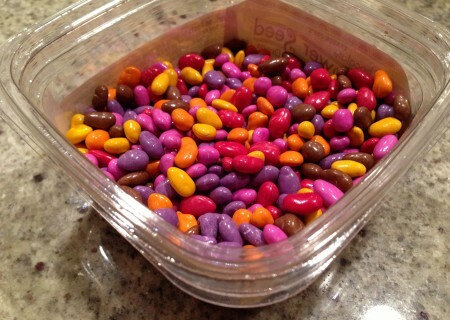 They’re sweet, nutty, and fun to eat with their jubilant colors and varying sizes. And since I avoid artificial ingredients, I was glad to see that the bright colors were derived from natural sources like Paprika and beets. 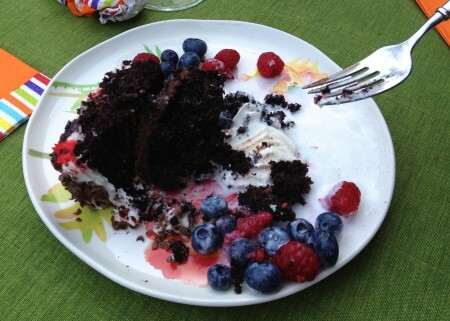 That said, there is such a thing as eating too many (as I’m apt to do), and I ended up with an unequivocal tummy ache. Awe, yes, now I remember why I never buy Chocolate Sunflower seeds. If you can practice control around these tempting treats, they’re a totally fun indulgence to share with a friend. For more info on the Dancing Deer Baking Co., click here. Fewf- just in time for Halloween! If you’ve been following my Darling blogs, you know that I am a huge proponent of eating real food. 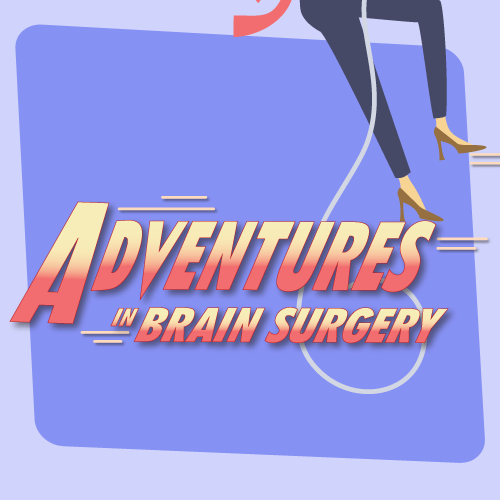 Consequently, I have had to give up candy since it is made with pure, chemical Crap (see my post here on the horrors of High Fructose Corn Syrup). 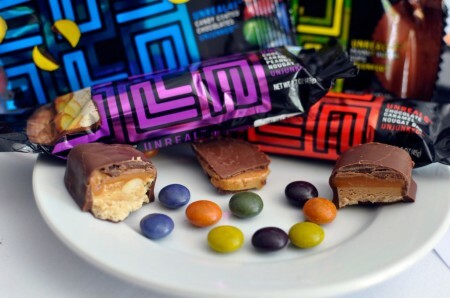 Thankfully, Unreal Candy has come along making replications of our favorite treats with all real ingredients. Wow. This is amazing you guys!!! 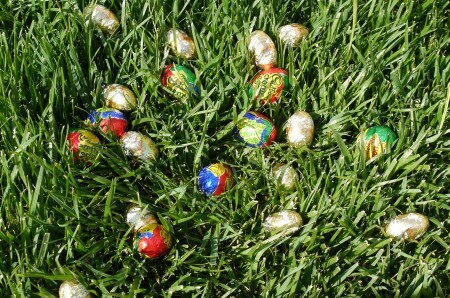 My future, not-yet existent children will know of No other candy! Ha! Are you as excited about this edible candy as I am?! 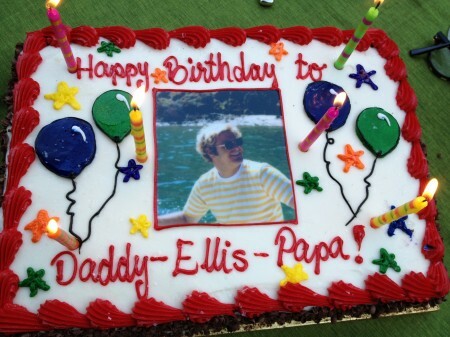 Last weekend my family gathered to celebrate my Dad’s birthday with this delicious cake from Draeger’s in the Bay Area. 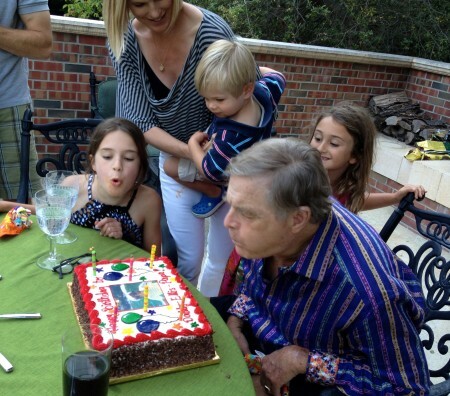 My Dad recruited some help from his grandchildren to blow out the candles. The delicious cake had chocolate buttercream layered inside and tasty cream cheese frosting on top. And I don’t think you need to be related to this little one to see how cute he is. 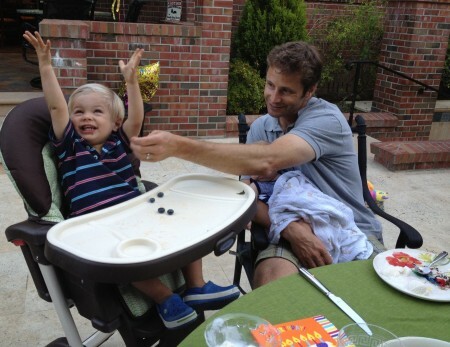 In this photo my nephew (with his dad/my brother) is triumphantly waving his arms and declaring “All done! All done!” It was his 2nd ever taste of ice cream, and needless to say, the little man was hooked. Ohlord, it all begins! It’s hard to find an actual ice-cream sandwich, you know, made with real ice-cream, that comes in a 100 Calorie serving size. I scoured the shelves at Whole Foods, my eyes cruising by the soy, coconut milk, yogurt, and even goat-milk options before I landed on on Julie’s Organic Ice-Cream sandwiches. The “Juliette” has thin chocolate wafers that neatly contain a bar of delicious vanilla ice-cream. Made with natural and organic ingredients, Julie’s Organic “Juliette’s” won my heart. 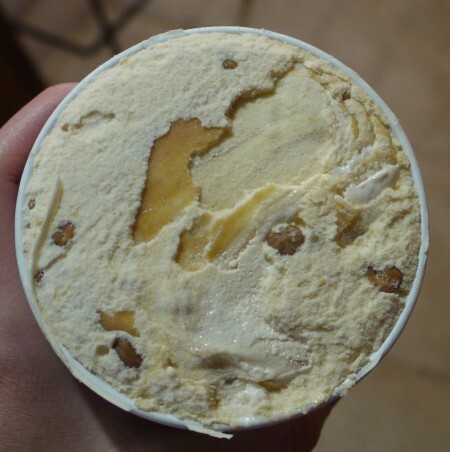 For more info on Julie’s Organic Ice-Cream, click here. 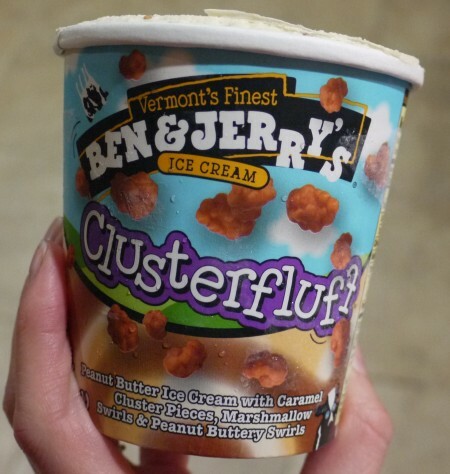 Click here to see ice creams that I won’t eat anymore, delicious or not! At one of the birthdays I attended this weekend I encountered Trader Joe’s Almondictive Bits, a TJ’s treat that I had strategically been avoiding. I mean, come on! 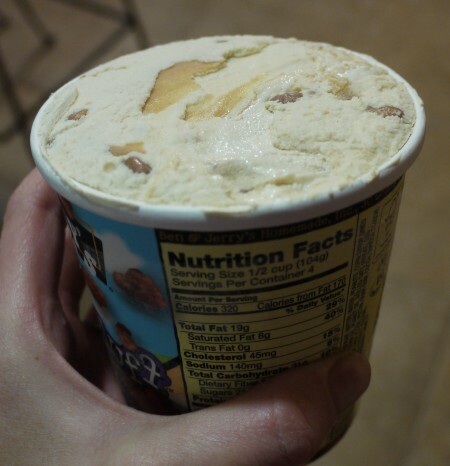 They tell you right there on the tub that you are going to eat the whole thing at once and wallow in misery over your lack of self control and growing love handles! Or something like that. So alas, there they were, right in front of me.. and since they’re Almonds (healthy) and Dark Chocolate (healthy too! 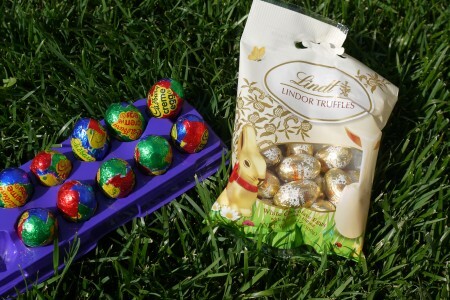 ), I dove right into these tempting treats. One thing I applaud TJ’s for- they don’t have false advertising. 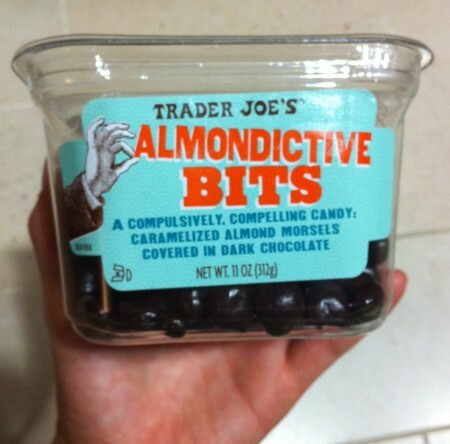 These delicious, caramelized almond morsels covered in chocolate were indeed, addicting. 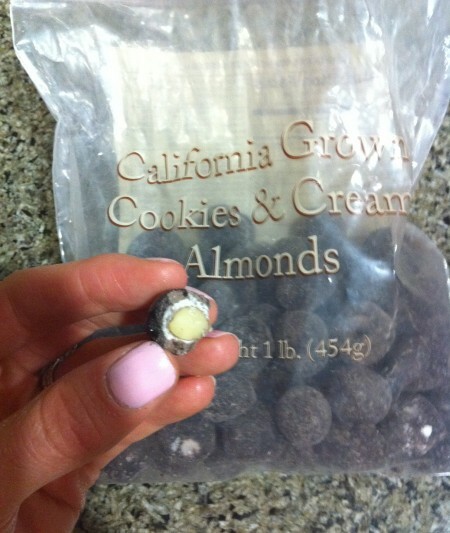 However, these Cookies & Cream Almonds that were also at the party were sweet, chalky rubbish.. even if they were made in California. For more info on Trader Joe’s, click here.